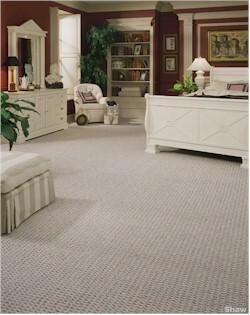 Shaw Flooring Centers throughout the United States and Canada are a select group of carpet retailers who have aligned their stores with Shaw Industries. Like Shaw, we are committed to providing you the highest possible level of service and customer satisfaction. You’ll find a comprehensive selection at our Shaw Flooring Center. Whether you’re shopping for carpet, ceramic, laminate, hardwood, or rugs, your choices will represent the complete realm of Shaw products. Shaw Industries takes its commitment to research, development, and quality control to entirely new levels. You can be assured that your selections will be manufactured to the highest standards and supported by warranties that will provide peace-of-mind for years to come. Abundant options and proven excellence are the first steps to a beautiful floor, but not the last. We will see that your entire decision instills confidence, from delivering the flooring on time to making sure it’s properly installed.